Eight students from the UMKC School of Medicine were recently awarded scholarships for the 2017-18 school year from the Missouri State Medical Association. 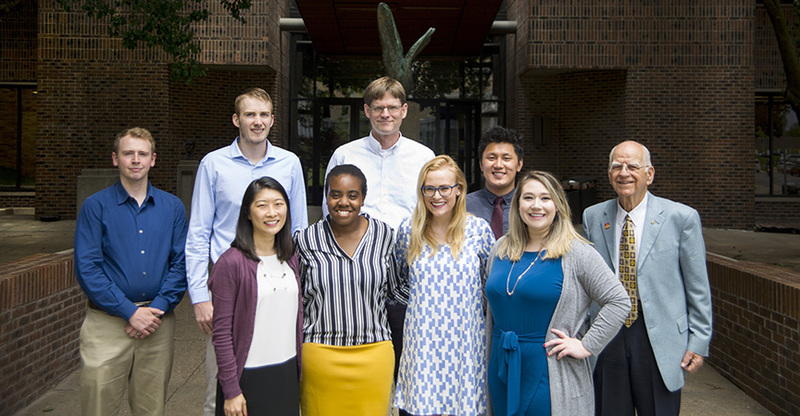 This year’s recipients are Julia Clem, Luke He, Alice Hwang, Nicholas Keeven, Forrest Kent, Haley Mayenkar, Jason Tucker and Eryn Wanyonyi. The organization awards the scholarships annually to fourth-year medical students who are graduates of a Missouri high school. MSMA was formed in 1850 by Missouri physicians and serves as a voice for the medical profession, physicians and their patients. The organization includes a Medical Student Section to address issues pertaining to students studying to obtain a Doctor of Medicine or Doctor of Osteopathy degree. Three UMKC students, Kartik Sreepada, Muhammed Alikhan and Timothy Chow, served as student section state officers during the 2016-17 school year.